VA Form 21-4138 is the most overused & useless VA form – what’s more is that there is a BETTER form you can use that will not only improve your chances of winning your VA Claim but also speed up your claim. So let’s talk about VA Form 21-4138. I hate this VA form. With a passion. Almost as much as I hate the Boston Red Sox. (Sorry Boston Vets). Veterans tell me that they use this form all the time. I see them using it – all the time. VA Form 21-4138 is not only one of the least helpful forms in the entire VA claims form library, but it also has the power to create REAL problems in a Veterans’ claim for disability benefits. First I’m going to tell you about the VA Form 21-4138. Then I’m going to tell you some reasons I no longer use it. Most importantly, I’m going to give you a much more POWERFUL tool to use instead. What is the VA Form 21-4138? The VA Form 21-4138 Statement in Support of Claim is, at is most basic level, the VA Form for a blank sheet of paper. Here is a copy of VA Form 21-4138 sample, so you remember what it looks like. * To request an update on their VA Claim status. 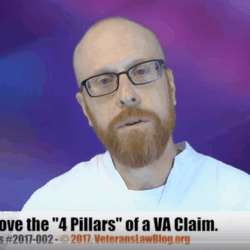 * To submit stories and information that the Veteran thinks supports one of the 4 Pillars of a VA Claim (Eligibility, Service-connection, Impairment Ratings, and Effective Dates. * To submit gripes and complaints about the VA Claims process. * To provide details of Snoring in Service. * To update the VA on a change in dependency status. * To add lay evidence, or buddy statements, in support of the Veterans VA Claim. Well, you say, what’s the problem with all that? After all, if it’s just a blank piece of paper, shouldn’t Veterans use it however they want? Let me tell you the dangers of using the VA Form 21-4138 for every and any purpose. #3: You Can’t Use a Hammer to Tighten a Screw. Well, I guess you can, but it’s gonna be messy. * Want to add a dependent to your claim? 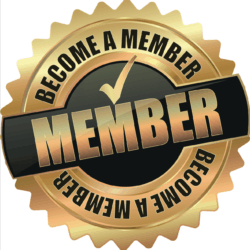 Use VA Form 21-4170. * Want to file a Notice of Disagreement? Use VA Form 21-0598. * Want to seek reconsideration of a VA Ratings Decision? That’s a trick question – there is no such thing as a “Reconsideration”, and VSOs that tell Veterans to submit a request for reconsideration using a VA Form 21-4138 are telling Veterans to flush money down the toilet. And for god’s sake, don’t use the VA for Requests for updates and VA Claim Status should be done using a letter, that includes your SSN and VA Claim Number, submitted via fax AND Certified Mail Return Receipt Requested. #2: The VA tends to Ignore this Form altogether. This is just human nature. * Wake up one morning to find grey hair in your beard? I promise it didn’t happen over night. The more you see something, the less you notice it. Same thing applies to VA Form 21-4138 – the more frequently this form appears in a VA Claims File, the less it stands out. * Look at your most recent VA Ratings Decision or Statement of the Case, and find the Evidence Listing section. * Compare the list of VA Form 21-4138s you have submitted in your VA Claim to the list of VA Form 21-4138 that the VA considered in the “Evidence Listing”. In my experience, 90% of the time, the VA Form 21-4138 is not listed in the evidence that the rater claims to have reviewed. The brevity of this Veteran’s evidence listing in his VA Ratings Decision is absurd as it is – his C-File was over 10,000 pages long. That C-File took me 2 solid weeks to review (the first time…it took me over 3 reviews of this C-File to make sense of the Veteran’s REAL claims). Here’s what is more disturbing: the decision in the above claim was a claim for TDIU, and the Veteran submitted valuable information about his unemployability in each and every one of the 125+ copies of VA Form 21-4138 he submitted. 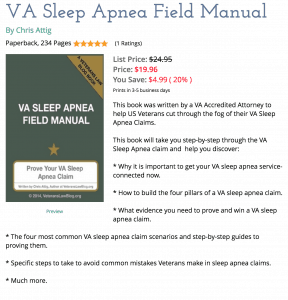 The VA considered exactly ZERO of the evidence on a VA Form 21-4138. Even if you don’t use VA Form 21-4138 a lot in your VA Claim or Appeal, other Veterans are – and the VA is just “numb” to the form. By using it, you risk the likelihood that they will just gloss over it and miss your most CRUCIAL evidence. #1: The Number 1 Reason you should STOP using VA Form 21-4138 in your VA Claim. The VA Form 21-4138 Instruction section tells you exactly what the VA uses this form to do – and its NOT to prove your claim. Isn’t that one of the BIGGEST problems that the VBA has? That they DON’T obtain evidence in support of your claim? Why are you giving them a Form that will encourage them to NOT do anything in your claim? Paul’s statement is one you are more likely to believe, isn’t it? Because Bob sounds “wishy-washy” using the “best of knowledge” statement. Paul, on the other hand, sounds more convincing because he believes so strongly in his statement that he is willing to subject himself to a perjury charge if someone shows he’s lying. The phrase “to the best of my knowledge and belief” has absolutely NO legal value, and when compared with other evidence, will almost always be afforded less weight by a Judge – at the BVA or in a real Court. So if you use VA Form 21-4138, not only are you using the wrong tool for the wrong job and not only are you using a form that the VA is numb to, but you are using a form that has absolutely no legal value to it whatsoever. Here’s What to Use – Instead of VA Form 21-4138 – to submit Evidence in your VA Claim. If you are trying to submit a so-called “buddy statement” – or other more powerful lay evidence – try using the Sworn Declaration Form that my law firm uses in our cases. The Sworn Declaration – because of the special language in it – gives REAL power to your Lay Evidence. And Competent and Credible Lay Evidence will give your claim wings! I received an AO rating of 30% for Parkinson’s . I went to the C&P and now I have a copy of the findings that I can dispute. Can I file the C&P dispute at the RO before my claim is finelezed? I had a hernia op at the VA Audie Murphy Hospital. As a result of that OP, the blood circulation to my left testicle was cut off. During the past 2yrs, the testicle has gotten smaller and smaller. I want to submit a clam under 38 USC 1151. Should I use the VA Form 21-4138? I think the VA Form 21-4138 is a worthless form. Here are some tips and pointers on filing a Section 1151 claim.